For most parents these days, some type of childcare is part of their child’s week. Whether its grandma’s house, a dayhome/in-home daycare, full or part-time daycare, or even a drop-in at the gym…. So how do you potty-train while your child is in someone else’s care? There was a time, not so long ago that daycares took some responsibility over potty-training, or even led the process completely. Unfortunately, today’s “wait till they’re ready" message and ever larger diaper sizes has given daycares the opportunity to shirk this responsibility, and many now ask parents to keep their children in pull-ups WHILE they work on potty-training. The situation in dayhomes (in the US, these are called in-home daycares - Andrea) is not necessarily better. Each provider's own experiences and prejudices will certainly effect their willingness to assist. You might believe that your 20 month old is capable of potty-training, but does your daycare provider even think potty-training at that age is possible? Surprise! They may have a policy. Talk with them about it, up-front. I cannot emphasize enough the importance of good communication between yourself and your daycare provider on this. I would go so far as to enquire about their policy as part of your daycare interviews when choosing a provider. The potty-training policy should also be included in the agreement you sign when you register your child. Read it carefully and be sure to ask questions about it. Ask whether a potty is available in or near the child's classroom. Second, if the children at your daycare are segregated into different rooms based on age, be sure to ask whether they can offer the potty in the younger-age room – or at what age your child will be able to move to the older-age room if toilets are only available in that area. Having just read the Alberta Health Services “Health and Safety Guidelines for Child Care Facilities,” I can tell you that there is nothing in there about potty-training. It does not say that your child needs to be in diapers or pull-ups or even underwear to attend daycare, so any policies to this effect will be those of the individual care center or dayhome. At the same time, daycares are responsible for maintaining a clean and safe facility and may feel that having your child in diapers will minimize the risk of children being in contact with another’s bodily fluids. It’s a fair point, but I think that there are other opportunities for keeping the childcare spaces clean while maintaining the potty-training progress of the child. Some children do really well with potty-training at daycare. Others struggle a lot. This is mainly due to their individual personalities, as well as the daycare provider’s commitment to helping. 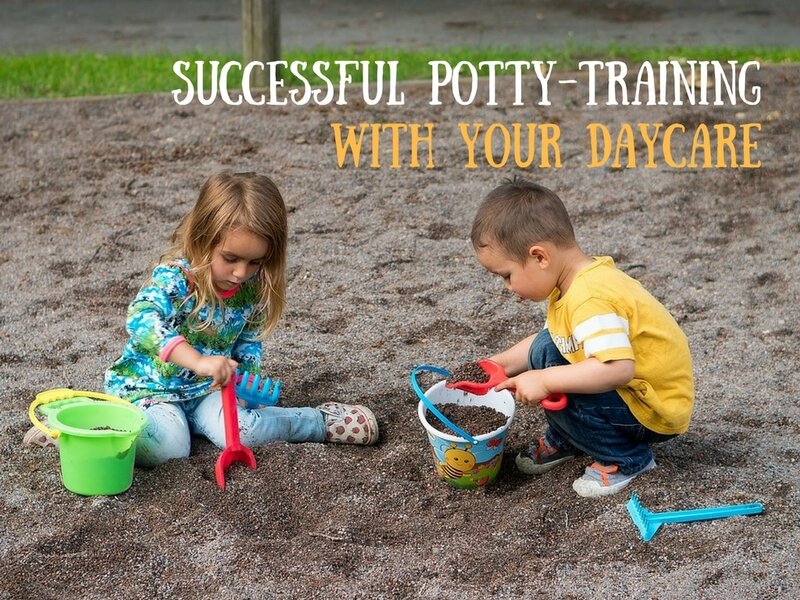 In order to ensure the smoothest transition from at-home potty-training to daycare-training, I generally recommend that parents speak to BOTH their child and the daycare provider (about how potty-training should be managed). Talking with the daycare provider. If there is a caregiver that your child generally responds well to, ask this person to be “in charge” of the potty training responsibilities for your child at daycare, as much as possible. This person should be the one to take your child to the potty each time, should be the one watching for your child's signals, and also paying attention to your child in case there is an accident, then calmly helping your child to potty and get cleaned-up. Sharing your child's intervals and signals. After your potty-training experience at home, you should have a good idea of the regular intervals that your child needs to pee, as well as any unique signals that your child gives before going. Write these down and give them to the caregiver! Reminding your child who to ask. Once the caregiver is on-board, let your child know that all the daycare workers are there to help him stay dry, but that if he needs to “go”, he should let “Miss X” know right away, and she will take him to the bathroom. This takes away any confusion about what your child should do in this new situation. Please comment below with your "potty training with daycare" struggles, surprises, and positive experiences. The first time that I held my 6-month-old daughter over the sink and caught a pee, we were both ecstatic, and I became a believer. 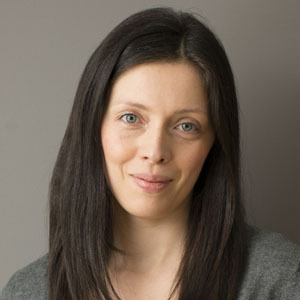 I offer workshops, support groups and private consultations (both in-person and virtually over phone/skype) in EC and non-coercive potty-training in Edmonton, AB, and surrounding areas. For more information, please visit my website or my local Facebook Group. My oldest daughter was almost single handedly potty trained by her daycare provider. They were so great and wanted her out of diaper as soon as possible. They said to just bring lots of outfit changes and they would take care of the rest! However, because of this I was completely unprepared for my second daughter’s potty training experience when I became a SAHM. So I’m very thankful I found. Is website! She is 18 months and potty independent! Is it possible to do early (9 month) poo training at home for the morning poo but not bother with it during the day at school and just keep her in diapers there? Or will she start holding it in at daycare and develop stress about it?